One of the main research areas in business relationship management is relationship quality. 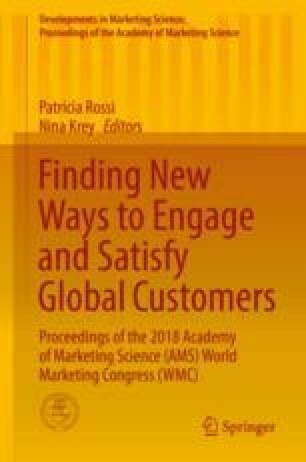 In particular, research on business relationship marketing widely identifies the benefits of developing close buyer-supplier relations to gain enhanced trust, commitment, satisfaction, coordination, cooperation as well as long-term orientation to the relationship (Skarmeas et al. 2008). While literature recognizes the importance of these constructs as key measures of relationship quality, there is a lack of consensus in the literature on how these three constructs influence each other in business relationships. Also, the distinction between early stages of business relationships and ongoing ones is often neglected in this context. To contribute to a sound theory development, this study aims therefore at further validating the nomological framework initially tested by Svensson et al. (2010) and that the subsequent studies have been compiled by Padin et al. (2017). Subsequently, the research objective is to validate whether satisfaction is a mediator between trust and commitment on the one side and cooperation, coordination and continuity on the other. The sample for this study comprises a total of 400 SMEs in Puerto Rico from various industrial sectors. A total of 133 usable questionnaires were returned, generating a response rate of 33.2%. A five-point Likert-type scale was used for all items using strongly agree (5) and strongly disagree (1) as the end points. We performed confirmatory factor analysis and structural equation modelling (Jöreskog and Sörbom 1976) to test the measurement model and to assess the structural relationships of the conceptual model between the included constructs in a sample based upon Puerto Rican business relationships. We also performed a confirmatory factor analysis of the measurement model; this consisted of 18 indicator variables. Our testing of the model provided support for satisfactory validation of findings. The goodness-of-fit measures were fair (Hair et al. 2006, pp. 745–749). The variance extracted from all constructs exceeds 50% in each ranging from 64 to 84%, which provides support for convergent validity. The composite trait reliability levels of all included constructs are above 0.7 ranging from 0.86 to 0.94, which provide support for reliability. The hypothesized relationships of the model were all significant, which confirms nomological validity. The findings in this study and previous studies indicate that the model is valid across company sizes, such as from small to medium and large ones. The findings also indicate that the hypothesized relationships between the relationship quality constructs (i.e. trust, commitment, satisfaction, cooperation, coordination and continuity expectance) are valid in the ongoing business relationships.